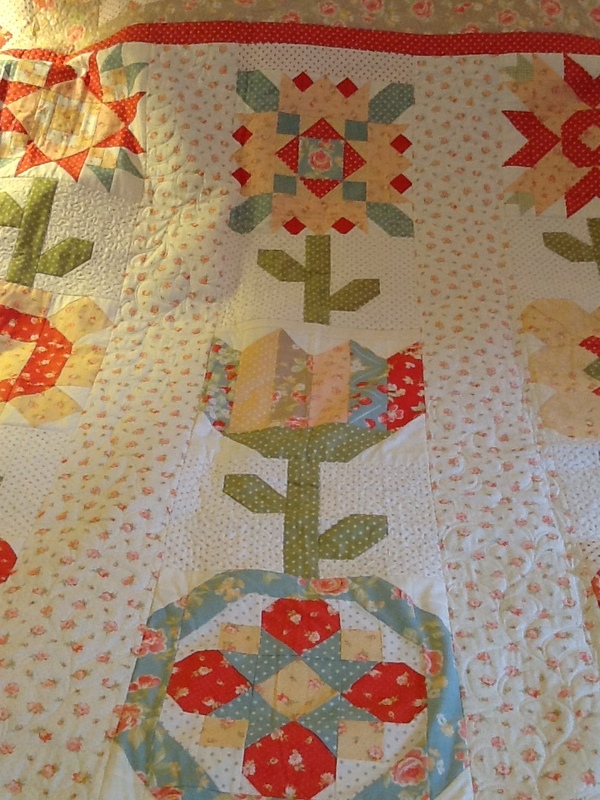 Ok … so it’s been a few days since my last post and I’m not sure when I’ll get time to sit and do a longer one… but I wanted to share a couple of pictures that Linh from LiMa Sews sent me of my quilted Swoon quilt. Her husband (the Ma part of LiMa) took the pictures and I’m so glad I have them for my files. 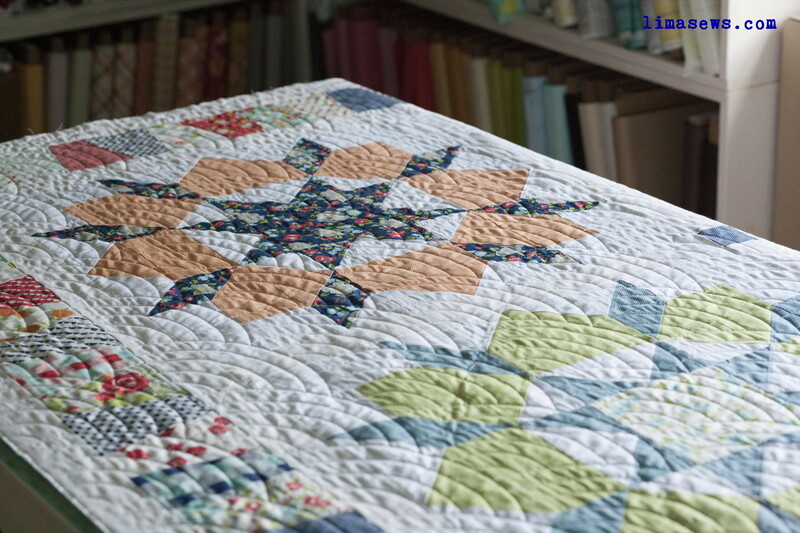 They really show off the quilt pattern. I LOVE it! 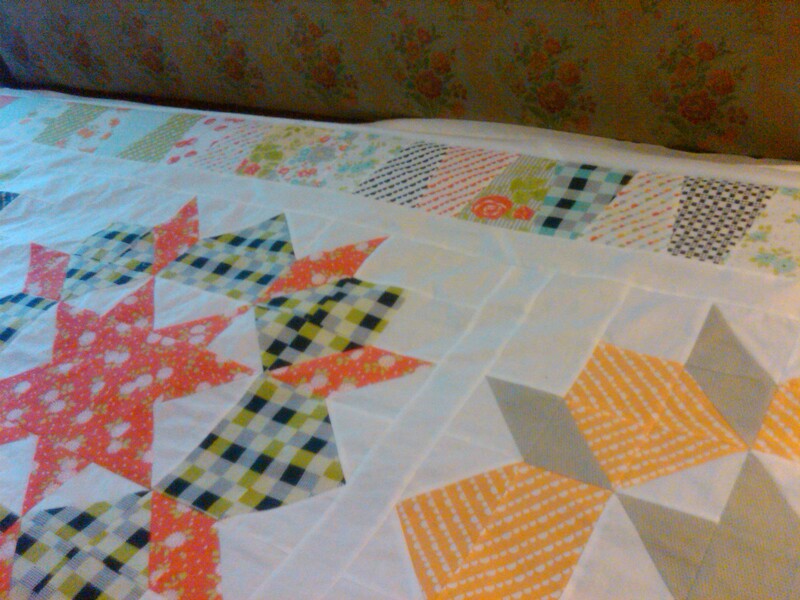 The baptist fan pattern was a great choice and I’m so glad I took Linh’s advice on the selection. 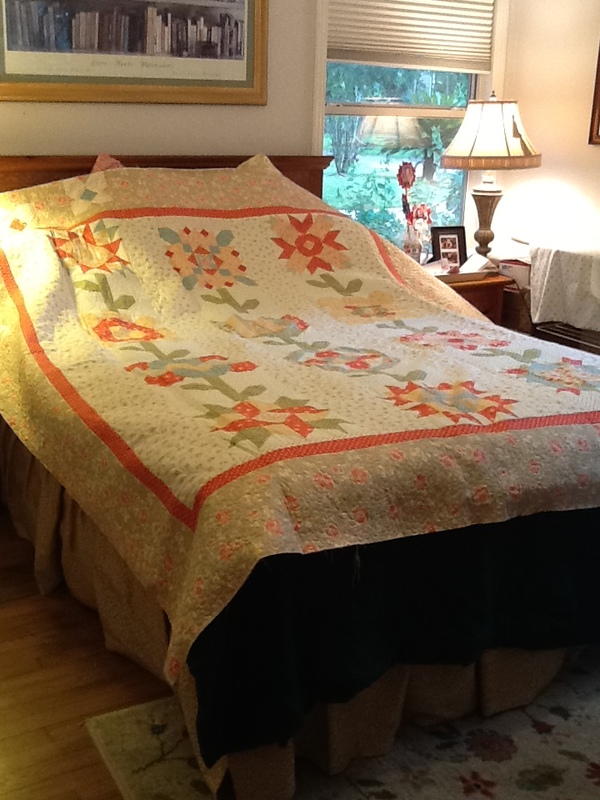 Since I had it done, I have seen a lot of other quilts in blogland done in the pattern. I’m finally in the midst of a popular trend instead of 2 years behind one! My plan is to bind it this weekend and give it to my friend on Monday. Wish I had time now, but I have to close the books on July and that is taking up my spare time right now. I might be able to get to it Thursday, but we’ll see. 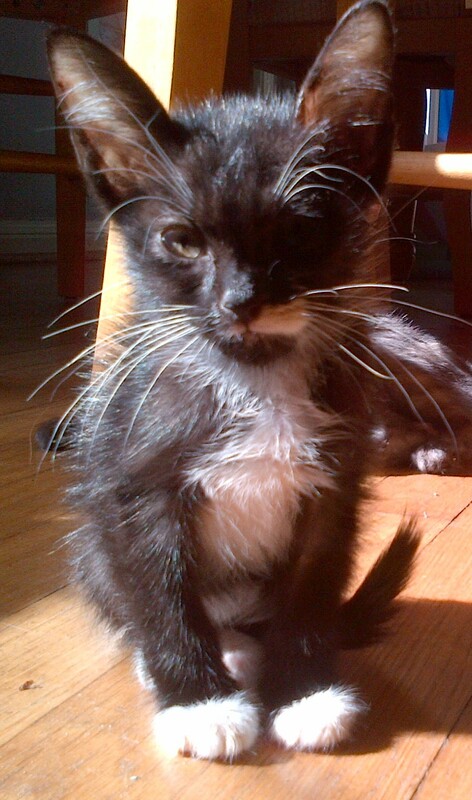 Some sad news though… one of my little tuxedo kittens passed away this week. Unexpectedly. She seemed to be losing weight recently, and was really looking pitiful this past weekend, but before I could arrange a Dr. appointment – the kids found her ‘frozen’ in the living room Monday night. She had a good appetite, so I’m not sure what happened. I feel really awful about it. 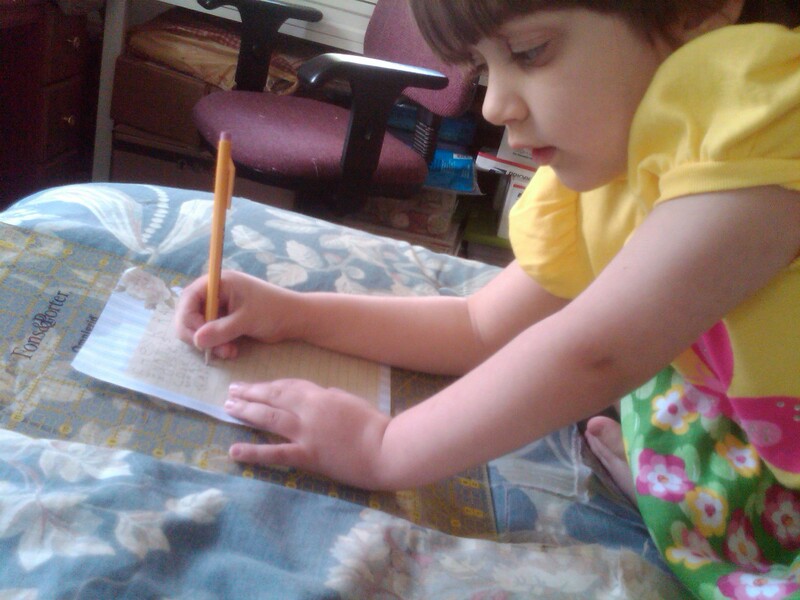 The picture below is from Aug 4th, and she looks pretty good here. Rest in peace Posy. We loved you for a short time and will keep you in our hearts forever. Well, I have nearly made it through the week without the kids. I was hard the first night. Really missed them to bits. But we made it through and managed a dinner out one night and a movie last night. We saw The Internship, and we literally laughed out loud in some spots. That’s unusual for me, but I think I’m at just the right age and generation to feel the humor in this movie. But I like these kind of comedies. Vince Vaughan kept saying “On the line” instead of “Online” – it was funny, … really. I have also decided to start a new series that I never watched when it was in its prime. If you recall, I got hooked on LOST and I did complete the entire series. I don’t know how I would have made it through some of those seasons having to wait a week to get to the next scenarios. It was really good. Not sure about the ending – probably over thinking it. I particularly liked SAWYER (played by Josh Holloway)- too bad it wasn’t on HBO, probably would have seen ‘more’ of him. Now, though – I am getting into ARRESTED DEVELOPMENT. I really like Jason Bateman humor also. Dry wit and sarcasm. Perfect for me. I’m still in Season 1. I’m not into it as much as LOST and giving up hours of sleep to see the next episodes. Just catching it when I can on Netflix. Perfect for lunch breaks at the office desk. They are coming back to do another season, but this time it will be EXCLUSIVELY on Netflix. Got to get caught up first. 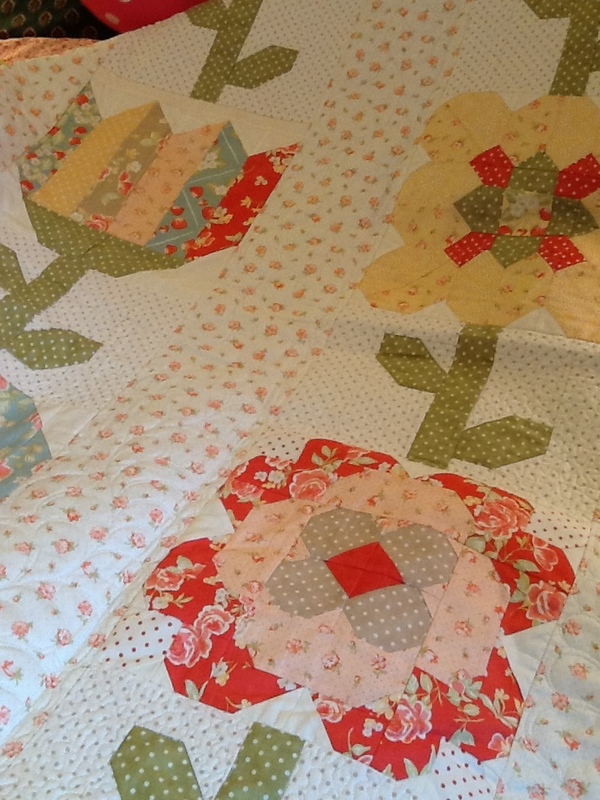 Finally – I will say that I am absolutely, positively finished with the Swoon quilt top. No.. you can’t see another picture. I know you want to, but you can’t. I am so flaky. I kept wanting to wrap it up and move on, but I couldn’t. Not until I was satisfied. Now I’m satisfied. 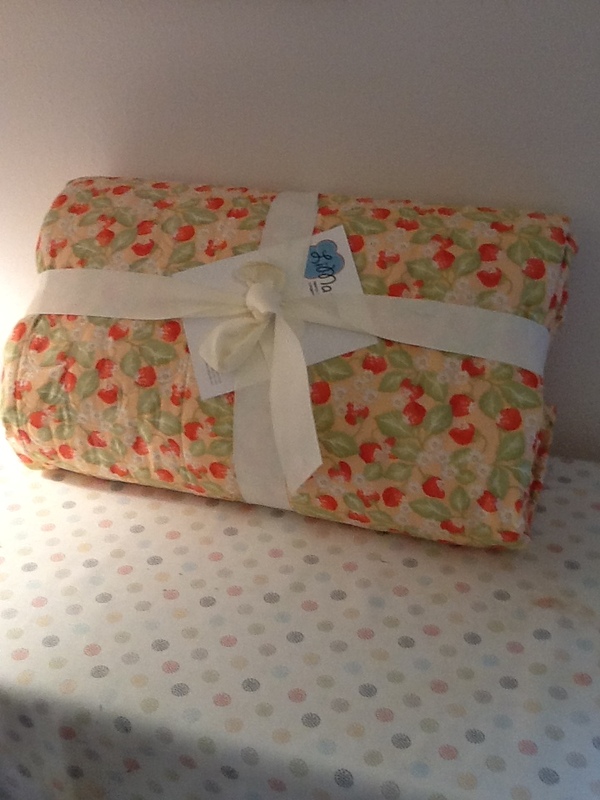 It will be in the mail to LiMa Sews on Saturday morning. DONE! 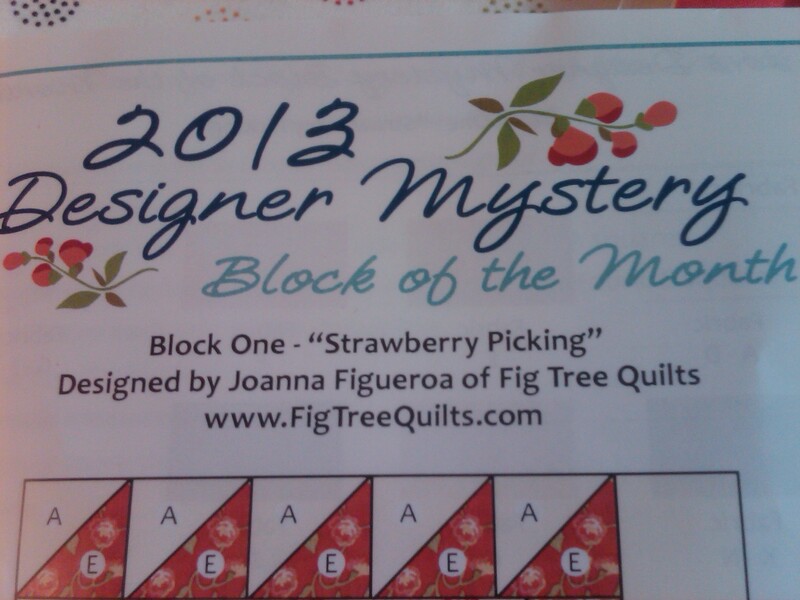 I’m so excited, I may throw in another quilt top and get it done at the same time. 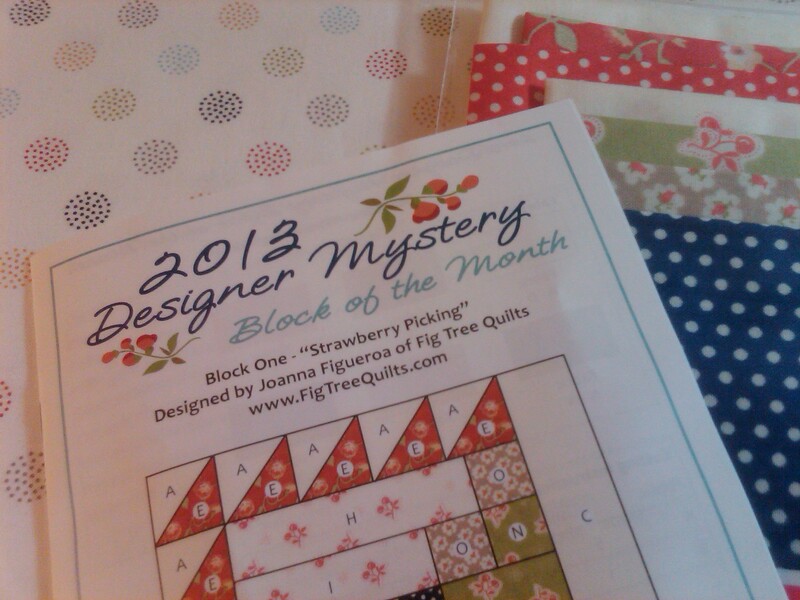 Nora is due her own quilt finally, and I bequeathed her the 2011 FQS DM BOM quilt. Perfect for my pink princess. 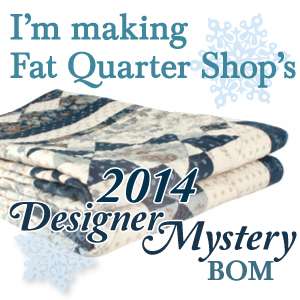 Did you get to take advantage of Fat Quarter Shops awesome sale this past weekend? 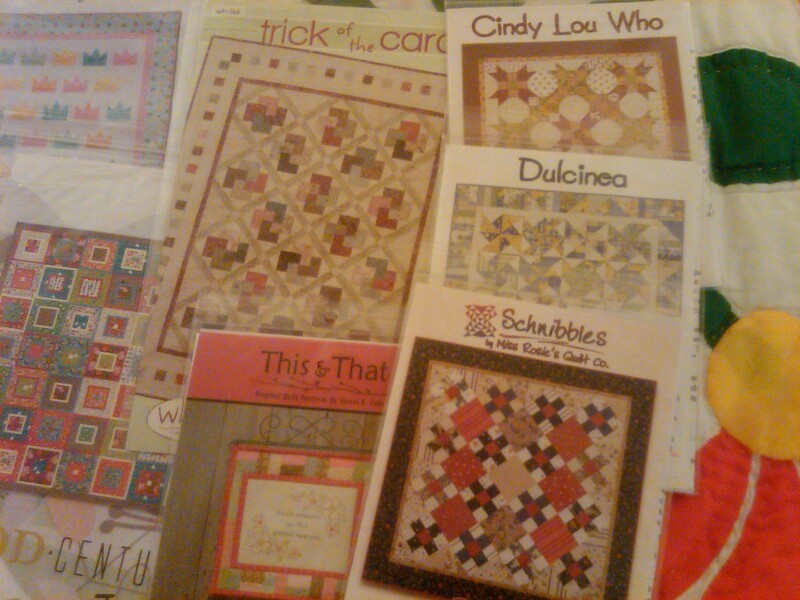 They cut prices on patterns, books, and precuts. 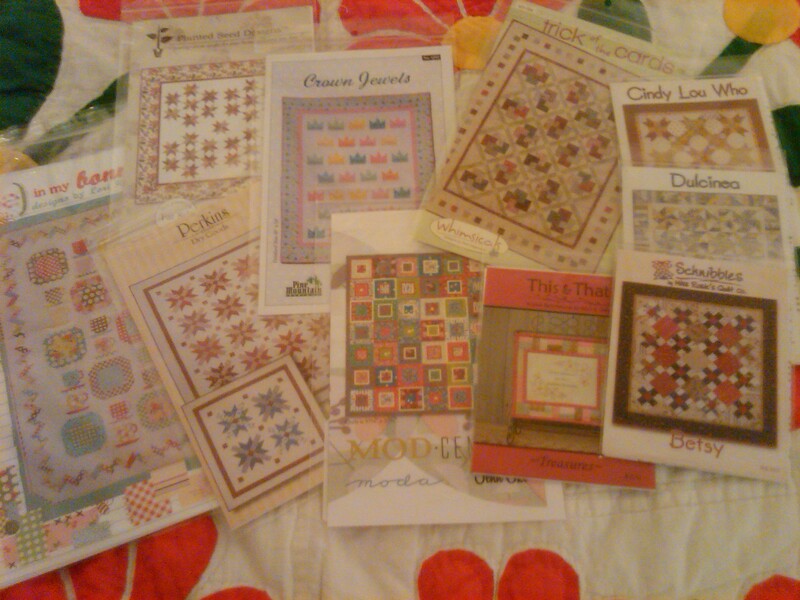 I couldn’t pass up some patterns at half off. 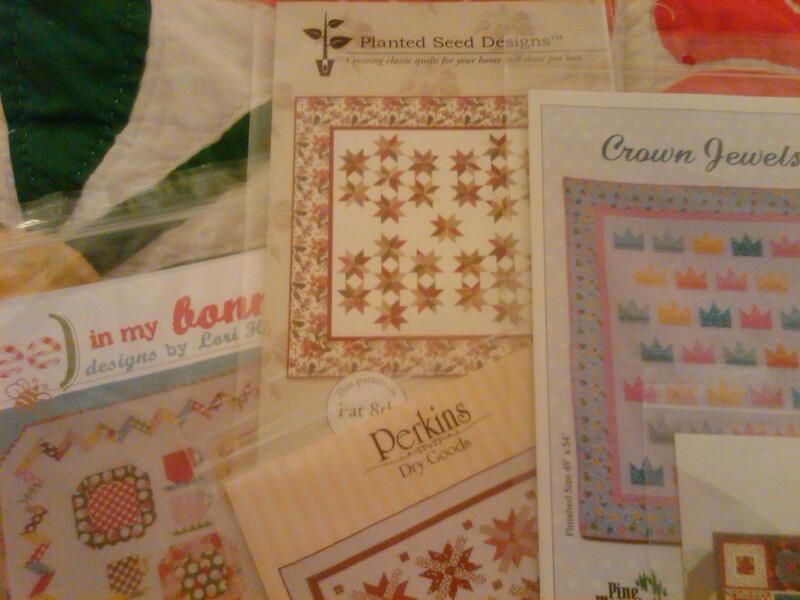 I always love the look of Planted Seed Designs, but the Perkins pattern is really speaking to me right now. 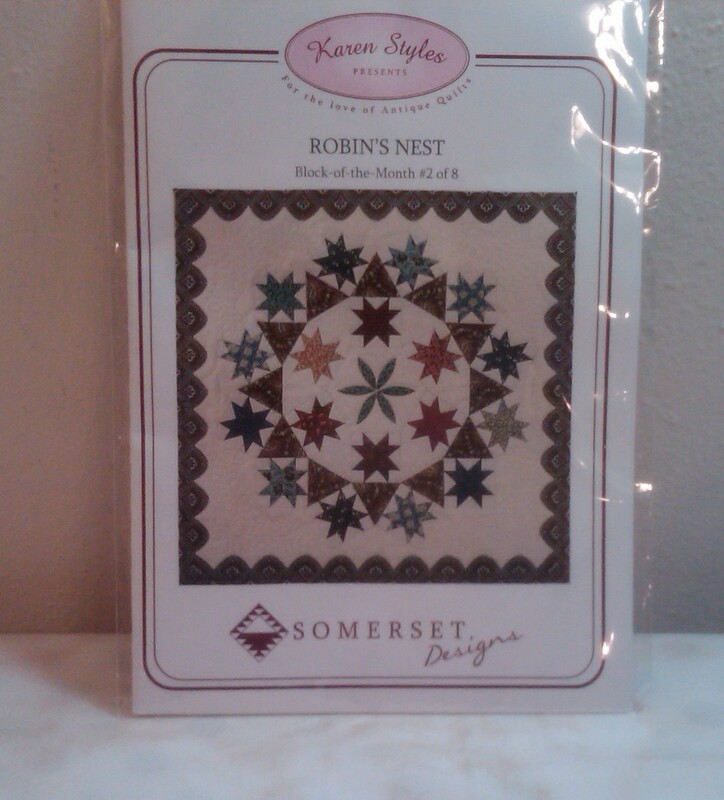 And, with AYOS – there’s a pretty good chance I’ll need these Schnibble patterns that I didn’t already own. 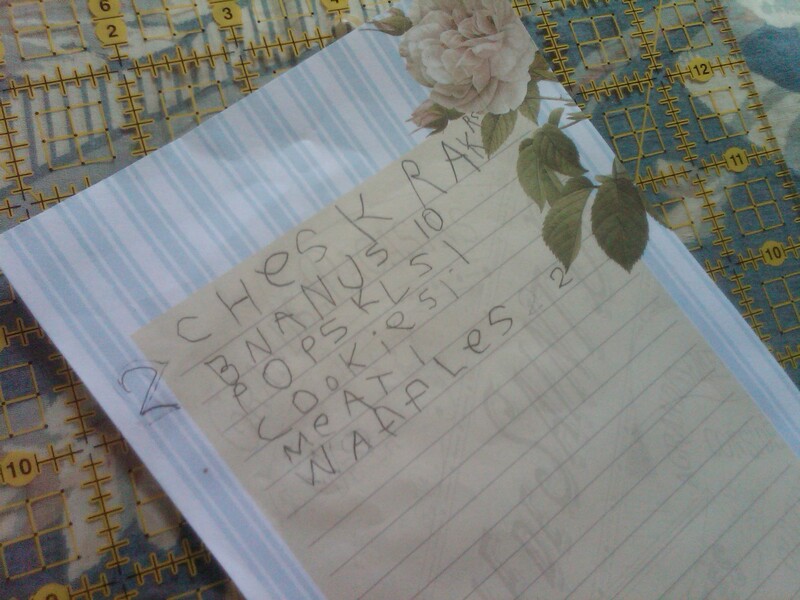 If not – they were on my list to get anyway. 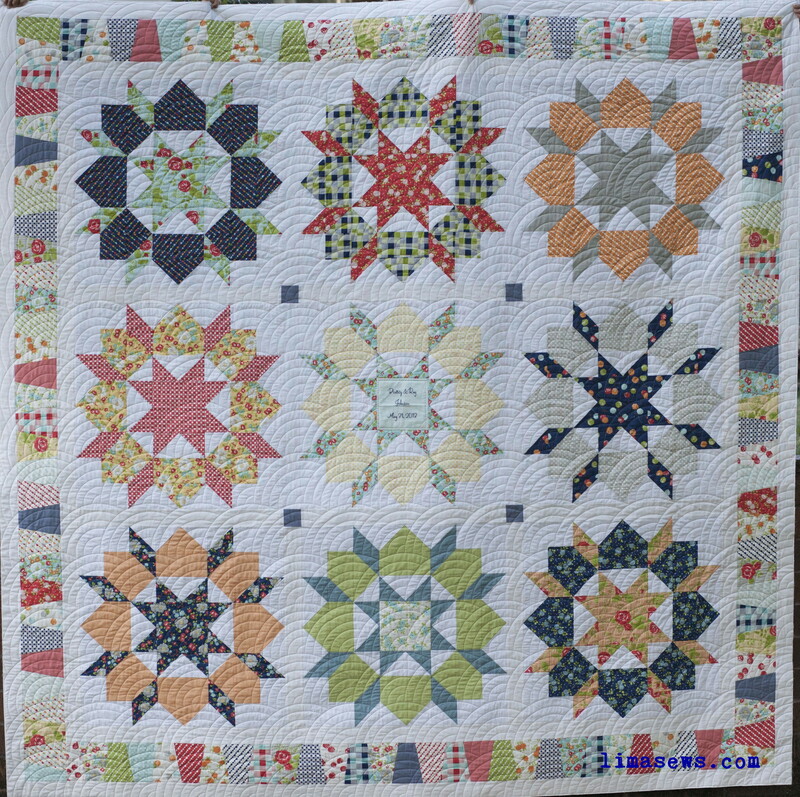 DULCINEA is the AYOS pattern for June. 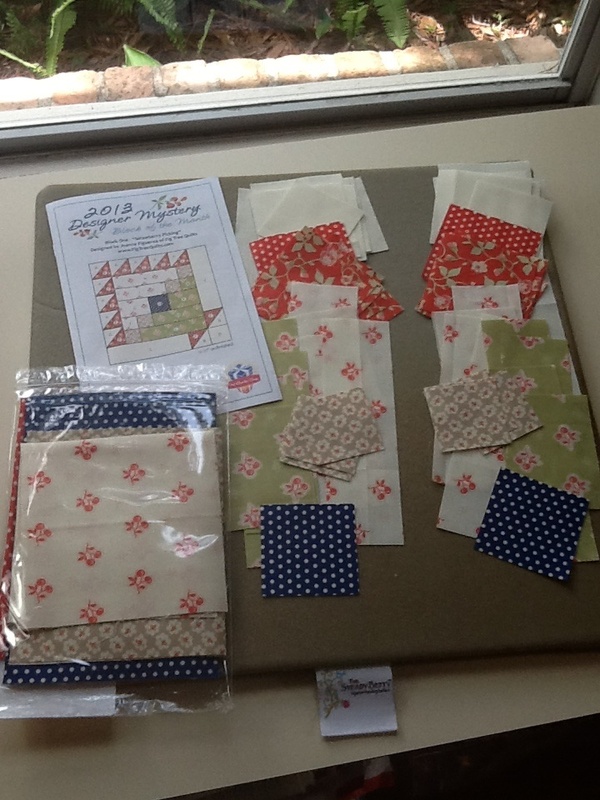 I still haven’t started, but with Swoon done now – I can get into it this weekend! Hope you have great expectations for this coming weekend as well! Thanks for visiting today! 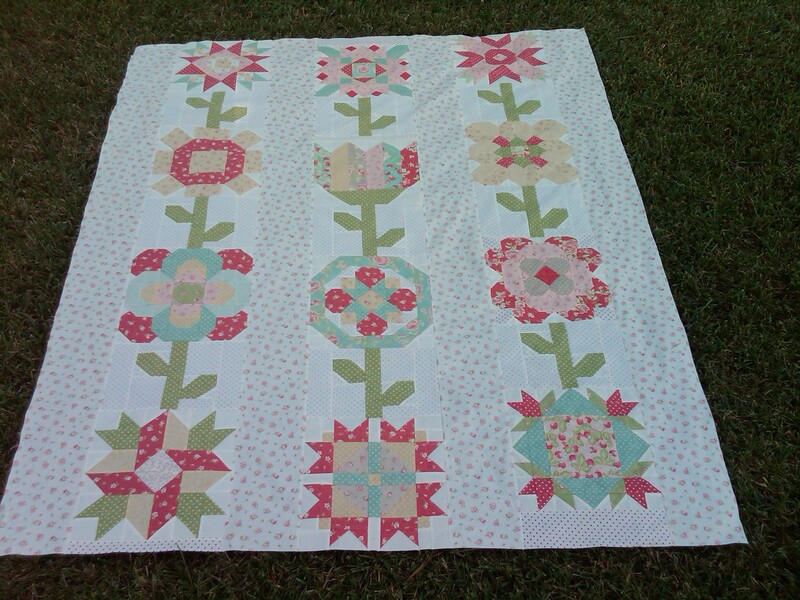 Yep – that’s a Crumbler tool by Miss Rosie’s Quilt Company. 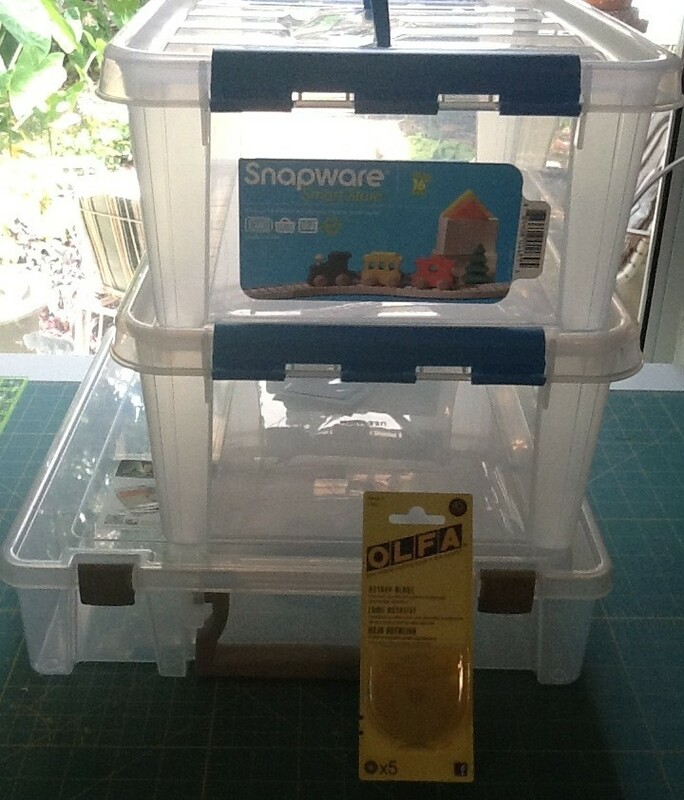 I still had it intact, in the package, when I looked in my ruler drawer for ideas on the Swoon border. I really do love borders. 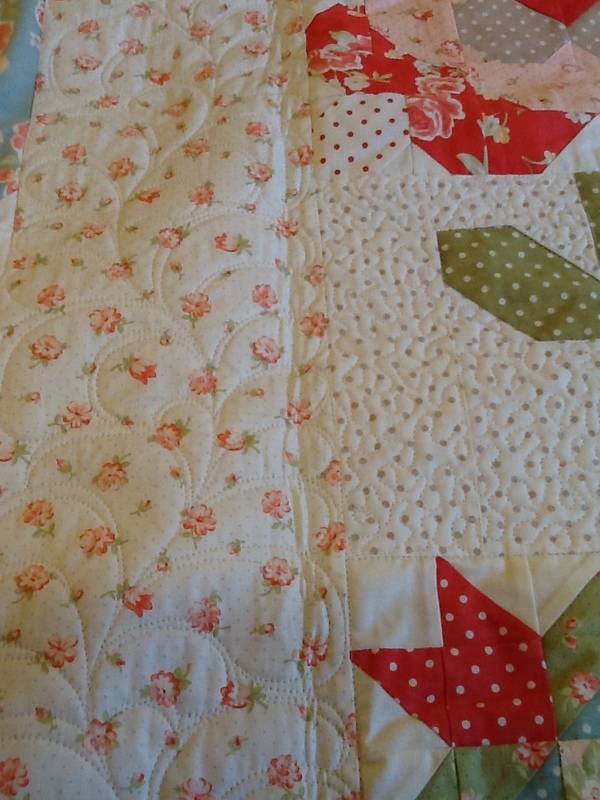 It would be so hard for me personally to make one of those quilts that have patchwork blocks right up to the edge of the binding. 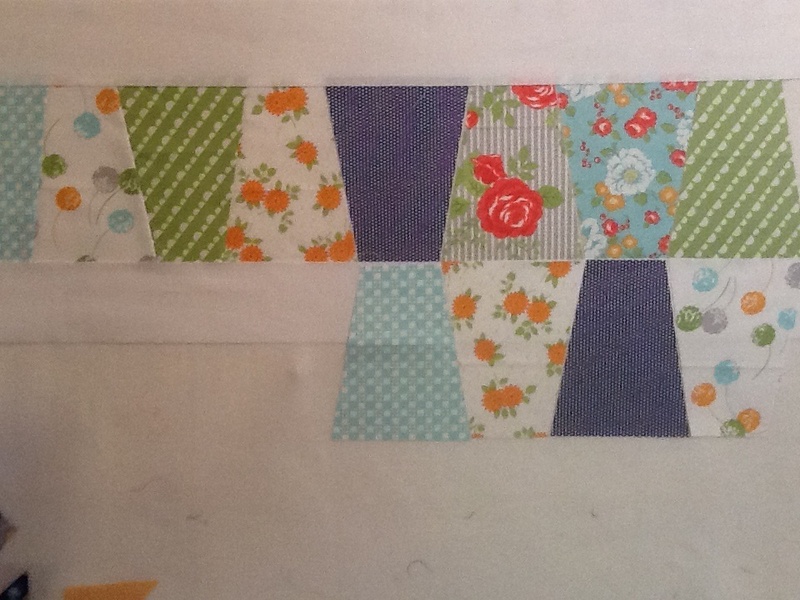 I find myself thinking of the borders as almost a second quilt in itself. 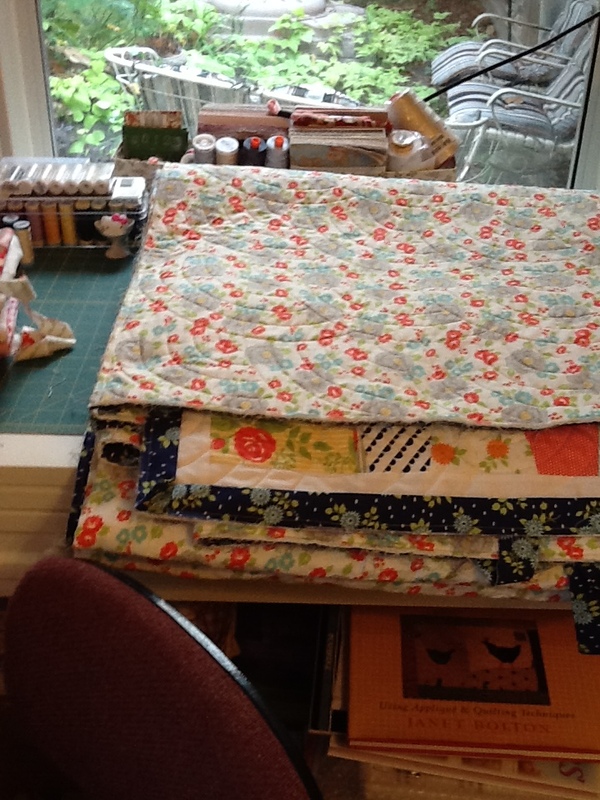 I am going to put in the white 2 1/2″ strip inner border, then a row of tumbler (excuse me … “Crumbler”) blocks and a final 2 1/2″ white outer border. The tumbler size I am making is the largest for this tool – cut from 5 1/2″ strips and adding 5″ to the finished border width. 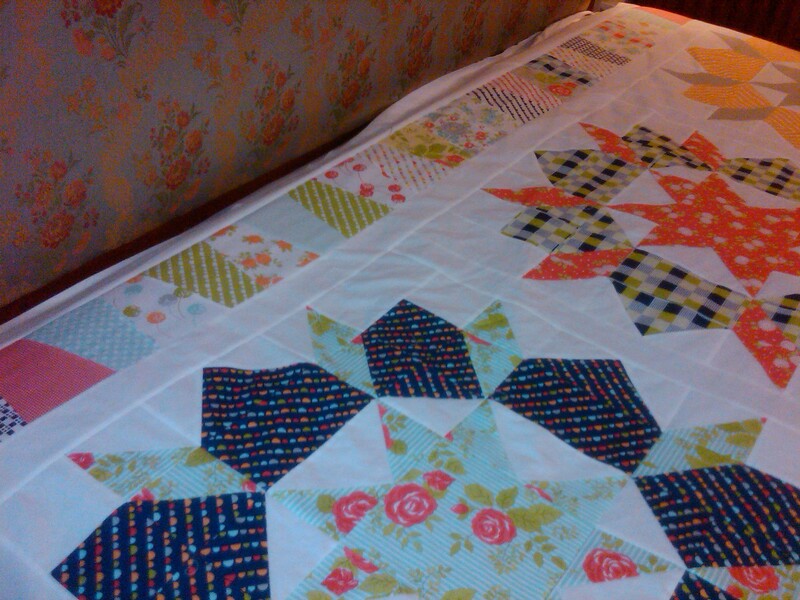 With the other two strips added, I should be close to my 100×100 size that I originally wanted for a king size bed. 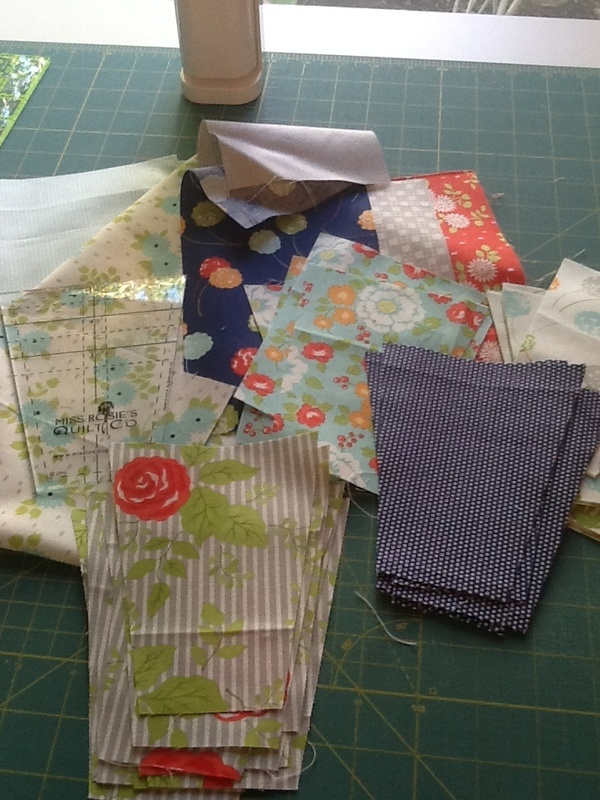 I was playing with the idea of two rows of tumblers, and I may still do that – depends on how many I get cut from my remaining fat quarters and scraps of Happy Go Lucky. You can cut 18 of this size tumblers from a single fat quarter. They go together really fast. If I can use up my leftovers, then that would be perfect. 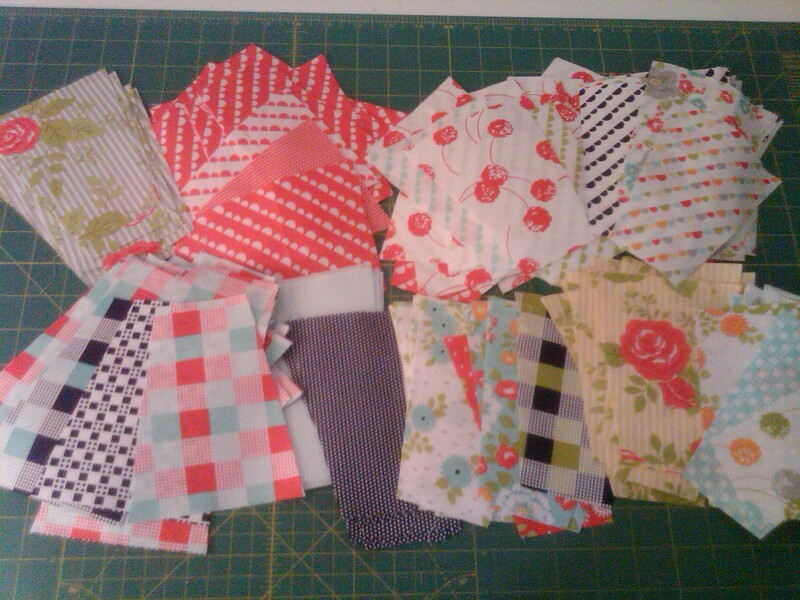 I’m not likely to sew again soon with this collection, since I have so many other projects I want to work on. 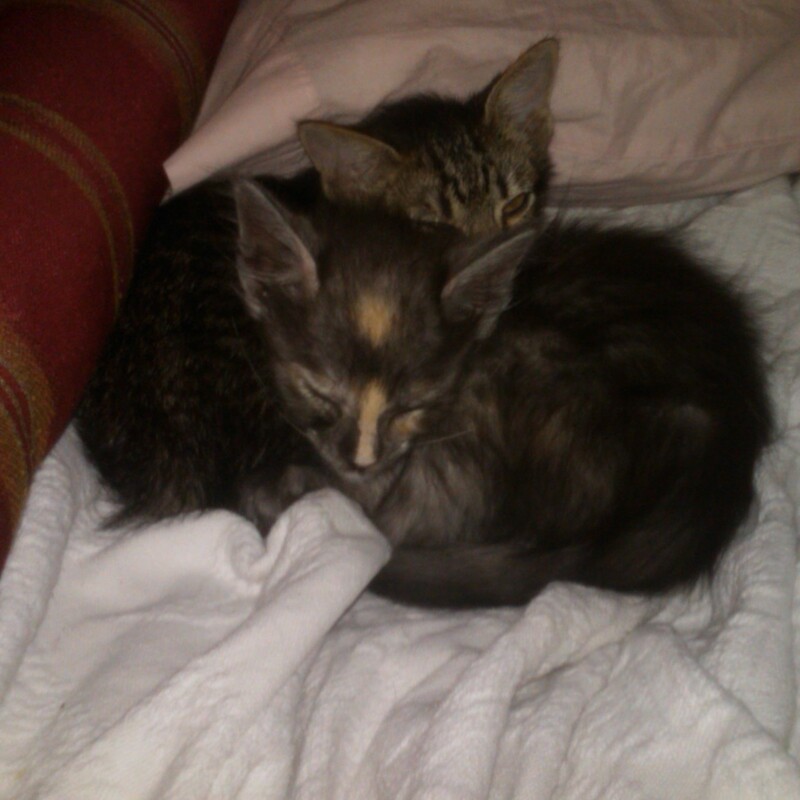 Did I mention that I’m actually allergic to cats, and so is my husband? Waiting to see how the kids are affected.